Bulelani Balabala is an award winning young entrepreneur & speaker. He is the founder & Executive Brand Engineer of Intercessor Army Franchising which is a Brand Agency that started on the 16 August 2006. He grew up in a township called Tembisa. His surrounding and disadvantaged up bringing are what inspired him to go the creative route. Armed with nothing but a dream and passion, he started selling the concept of brand development from a township perspective to corporates & other entrepreneurs. His resilience and driven has caused local and international companies to work with him. 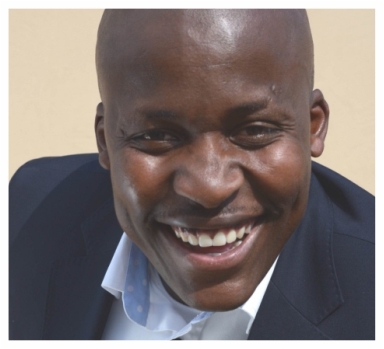 He is very passionate about the empowerment of entrepreneurs, and the upliftment of townships. He is a seasoned specialist in the field of Brand consulting, Brand development, Brand strategy & Printing. His strategies have helped position companies that will attract the clients that they need. He is incubated at Raizcorp which is business incubator that focuses on developing entrepreneurs, systemizing businesses through processes and running a functional & profitable business. He has been deemed one of the best sales & networking entrepreneurs in the history of Raizcorp. He is blessed to speak at multiple corporate & social events along side giants in the speaking arena & business sector. Some of the people he has shared podiums with are Sbusiso Leope (DJSbu), Bill Gibson (USA), Hector Motau, Lebo Gunguluza & Billy Selekane. He speaks on the following areas Motivation, Inspration, Innovation, Creativity, Sales & Marketing, Brande development & Strategies. He is a proud member of the Sbusiso Leope Education Foundation which is actively involved with township school. He speaks at a minimum of 2 schools a week giving motivation & guidance to students at no cost. Each one teach one. He has been awarded Best Corporate Citizen in Youth Development by the Mayor of Ekurhuleni, the Honourable Cllr Mondli Gungubele in 2014. He has been certified by the National Youth Development Agency (NYDA) in the Small Entreprise Start-Up training. He loves Brands. He is passionate about Innovation. He is a Creative.